The William Blake Archive is pleased to announce the publication of an electronic edition of five of Blake’s tempera paintings on biblical subjects, eleven of his water color illustrations to the Bible, and one of his large color printed drawings, Hecate, or The Night of Enitharmon’s Joy. These works have been added to groups previously published. In addition, we have republished all the biblical temperas and water colors to add illustration descriptions and make their designs and inscriptions fully searchable. 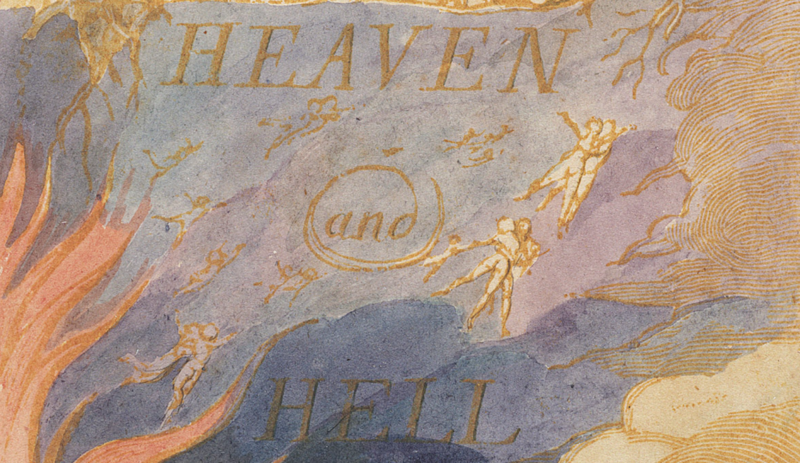 The Bible had an enormous influence on Blake’s work as both artist and poet. His tempera paintings and water colors of biblical subjects, mostly created for his patron Thomas Butts beginning in 1799, are among Blake’s most important responses to that text. The tempera paintings now published are based on passages in the New Testament concerning the life of Jesus and his family. We are particularly pleased to include Christ Raising Jairus’s Daughter, a well preserved but little known work recently acquired by the Mead Art Museum of Amherst College. The new group of water colors ranges from Numbers (Moses Striking the Rock) to two of Blake’s most powerful explorations of the apocalyptic sublime, The Great Red Dragon and the Woman Clothed with the Sun and The Number of the Beast is 666, both based on Revelation. The Great Red Dragon from the Brooklyn Museum has received a good deal of contemporary attention because of its central role in Thomas Harris’s bestselling 1981 novel, Red Dragon, and the films of 1986 and 2002 based on it. The Archive now includes twenty-four tempera paintings and sixty-four water colors based on the Bible. All of Blake’s extant water color illustrations to Revelation are available. 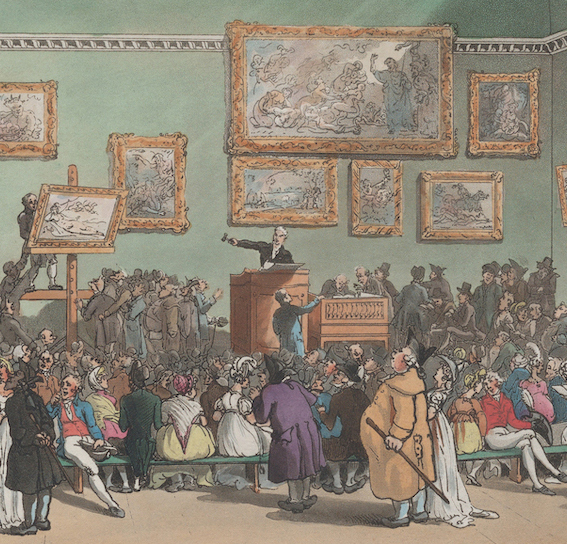 The publication of Hecate from the National Gallery of Scotland completes our presentation of Blake’s large color printed drawings, considered by some to be his greatest achievements as a pictorial artist. The Archive now contains all thirty traced impressions of the twelve subjects portrayed in the large color prints. This publication includes works from several collections not previously represented in the Archive. Accordingly, we are also publishing Blake collection lists for the Brooklyn Museum, Mead Art Museum (Amherst College), National Gallery of Scotland, Rhode Island School of Design Museum of Art, and Rosenbach Museum and Library. These lists include all original works by Blake in their respective collections, not just those published in the Archive. With this publication we have also implemented a technical improvement that reflects the Archive’s commitment to open-source digital humanities principles. By clicking on the “View XML Source File” link on Electronic Edition Information pages, users can now view the XML source code for any work in the Archive. “Transcribe what you see,” or Happy Birthday, William Blake.